Many people love honey maybe because of its sweet taste or flavour it adds to some foods. But apart from these two knowledge, they have little or no idea about the benefits of eating honey. 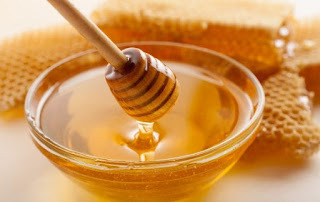 In this post, I shall be opening your eyes to see some of the health benefits of honey, that will make you love one of the best natural sweeteners the more. For some decades now, honey has been used as natural remedies for many ailments that human suffer from. Its sweetness is one of nature's finest gift to man. Naturally, we have different kinds of honey, each having unique properties, different flavonoids, and distinct taste, depending on the floral source of the nectar. Among all kinds of honey, dark honey tends to have more antioxidant properties. Honey is a natural sweetener that contains glucose and fructose, which makes it to be used mostly for baking, preparing desserts, and as sweeteners in beverages. Honey is also used in the beauty and maintaining a glowing skin, but let us look at some health benefits of honey. Honey is enriched with lots of vitamins, and at the same time it is a potent in fat-reduction. It mobilizes unused fat and does not increase your calorie level like other refined sugars. It is enriched with beneficial vitamins and minerals like Vitamin B6 and Vitamin C which helps in lowering bad cholesterol levels in the body. To achieve proper fat-reduction and weight loss, mix one tablespoon of honey together with one tablespoon of cinnamon powder and a cup of warm water, and drink it on an empty stomach every morning. You will get to see a positive result in no distance time. If you are suffering from insomnia or sleeplessness every night, you should try to consume some honey before going to bed. Honey helps in releasing glycogen in the liver and melatonin (the hormone that controls the sleep cycle and also required for rebuilding of body tissues during rest). To improve and maintain your quality sleep, you should take one or two teaspoon of raw honey before bedtime in order to sleep better. Honey contains probiotic bacteria which helps in boosting your immunity. It also provides instant energy which helps in improving your immune system. The antioxidant and antibacterial properties of honey can also help in improving your digestive system. To have a proper immune system boost, include honey in your daily diet by consuming a spoonful with lemon juice mixed with a cup of warm water before eating breakfast every morning . Honey can be used in treating wounds and injuries. It does these by absorbing water and acts as a natural antibiotic on wounds and burns. Its anti-inflammatory property also stimulate the healing process of the wounds and burns. To achieve healing on your wounds or burns, simply apply honey tropically on them. However, this needs to be done with caution depending on the degree of the injury. To be on a safe side, seek your doctor's advice be applying it on your wound. Instead of using over-the-counter cough suppressant, you can simply use honey as a natural cough remedy. Honey draws water from the inflamed tissues and helps relieve cough and sore throat. How can honey be used as a natural cough remedy? Simply add two to three teaspoon of honey to a cup of hot water or herbal tea, this will give you some relief. You can as well consume the raw honey alone if you do not want to add it to your tea. Regular consumption of honey by including it in your daily diet in adequate amount, can help reduce the risk of some cancers and heart diseases. Honey is rich in flavonoids, and according to research these antioxidants helps in reducing the risk of cancers. It contains the about the same amount of antioxidants like spinach, which helps prevent narrowing arteries and the same time the risk of heart diseases. Disclaimer: Though consuming natural honey is better than refined sugar, it should not be done in excess. Also, diabetic patient need to consult their doctors before consuming honey. I am sure by now you must have seen some more reasons why you should love honey, just because of its health benefits. Kindly hit the button below to share this post in your various social media platforms.